Debtors still laughing at you? You may need to think about taking the next step and enforcing your debt. At Central Collections we make it easy for you. All you need to do is give us the authority to initiate proceedings and we will do the rest, from a Notice of Proceeding right through to Bankruptcy if need be. No need for you to worry about lawyers and paperwork. Because we do this every day you can be safe in the knowledge that the debt is being handled in the most professional and efficient manner possible and at an investment price that may surprise you. Most of the fees that we charge are recoverable and claimed back from the debtor in the legal process. In fact on average most cases get resolved or substantially progressed for under $500, thus making this an effective form of enforcement. All our legal preparation work is done by a local law firm for service nationwide. As Central Collections Limited is one of the full service debt collection agencies, you can have peace of mind in knowing that should you ever need help or clarification on matters with respect to legal enforcement or debt collection then we are only a phone call away. Most, not all, of the court process costs are claimable back from your debtor via the court (ie: added to the debt). Proceedings are commenced in court by way of a notice of proceeding and statement of claim (NOP). Once filed in the court, the NOP is released back to Central Collections Ltd to serve the debtor. Once the debtor has been personally served they have 25 working days to pay the debt or enter into an acceptable arrangement to pay the debt. If they dispute the claim, they can file a statement of defence in the court. These are the debtor’s rights and they are outlined on the back of the NOP. We can take no further action until the 25 day period from the date of service elapses. If the debtor fails to file a statement of defence within 25 days after receiving the NOP, or fails to pay, judgment by default can be applied for. There is a further cost to the client associated with this and this amount is again added to the debt. Once judgment has been entered, it opens up all options for enforcement to us. Judgment by default means that because the debtor has done nothing, the court rules in the Plaintiff’s (clients) favour generally without the need for a court hearing or appearance. The debtor is not advised that Judgment is being applied for. When Judgment has been entered we may issue an application for a Financial Assessment Hearing in the court. We will then serve the hearing summons on your debtor and the debtor is required to appear before the Court registrar to provide a formal statement of income, assets and expenditure. From the information given to the court, they will make an order for immediate repayment, we request this payment is made by attachment order to wages/salary or benefit however there are occasions where the Court is unable to do this and we may have to rely on automatic payment. The order is binding and should the debtor fail to keep it, further proceedings may be taken. This will be issued by the Court if the debtor fails to attend the Financial Assessment Hearing. The warrant is issued to the court bailiff who can arrest the debtor and bring him/her before the court to be examined. Alternatively the debtor may attend court voluntarily at any time prior to execution of the warrant to be examined. Once Judgment has been entered and we are aware that the debtor has a substantial asset or assets such as a motor vehicle, boat or the like, we can apply for the issue of a Distress Warrant. The court bailiff is then required to seize the goods as described by us if the debtor does not pay on demand. The court then holds the goods for a period of not less than two weeks before they are auctioned publicly. The court deducts cost of seizure and storage before giving us the balance of the proceeds to put towards the debt. If the bailiff can find no goods upon which to detain, he files a “Nulla Bona” return, which literally means “No Goods”. 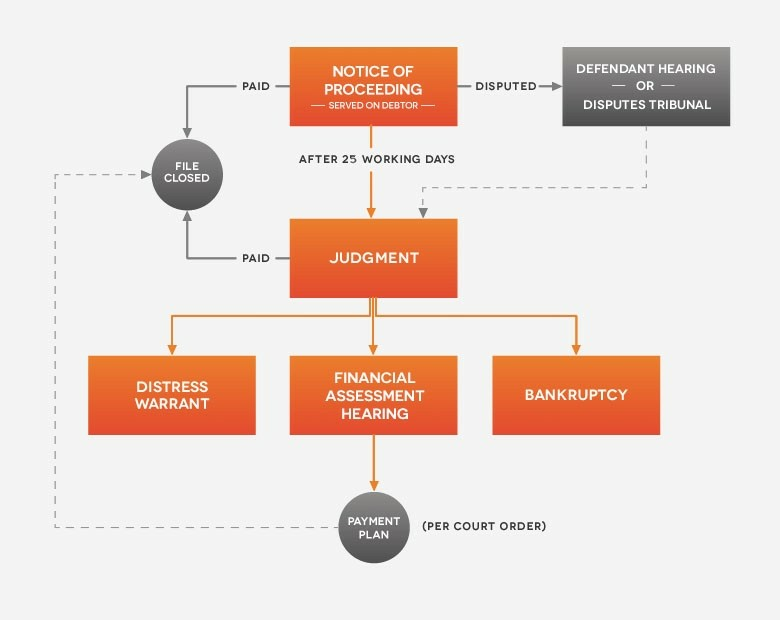 A Distress Warrant can be issued either before or subsequent to a Financial Assessment Hearing provided that judgment has been entered. A person’s tools of trade can not be seized, i.e. carpentry tools if he is a builder. 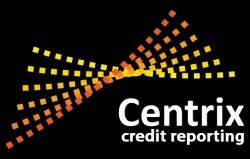 Where a Limited Liability company has defaulted in payment of a debt and where that debt is greater than $3000.00 and where there is no dispute, a creditor may serve a Statutory Demand on the company. It then has 14 days to set aside the claim on the grounds of a dispute. If no dispute is notified, the creditor then has another 21 days to file a Liquidation application in the High Court. A date of hearing is set and a creditor petition and summons is served on the Debtor Company. Prior to the hearing we advertise in the local paper and NZ Gazette so that other creditors become aware of our action and may register an interest. If the company does nothing, it can be ordered to be wound up by the court on the date of hearing. The court will appoint a liquidator to liquidate all assets and begin to pay back the company debts. Once we have obtained Judgment and we are aware that the debtor owns a property, we can apply to the court for the issue of a charging order. The court orders that a charge be placed over the property for the value of the debt. This charge is registered on the title of the property. This effectively prevents the debtor from selling the property or changing any details on it while the charge is in existence. The order remains in force for a period of two years. After a period of six months we can ask the court to sell the property to pay the debt. After paying costs of auction, advertising etc, any mortgage over the property must be satisfied in full before we get the rest. Obviously we must be sure that there is sufficient equity in the property before we look at selling, as there is considerable risk involved. This action is not necessarily an enforcement action on its own, but it does secure the debt further for our client.